WASHINGTON – Irvine University in California has become a hotbed of pro-Israel activity, only two years after an anti-Israeli attack on former envoy Michael Oren during a speech on campus. The university is located south of Los Angeles in Orange County, which is home to the second largest Muslim population in the United States. In previous years, Arab students organized pro-Palestinian protests on campus, built a wall to emphasize the "Israeli occupation" and promoted the delegitimization of Israel; making the Jewish students feel like they were under constant threat. Following the incident with Ambassador Oren, 11 Arab students were arrested by the police. The students claimed their actions were protected by freedom of speech, but the Orange County prosecution was able to prove a conspiracy to commit a crime. The students were suspended for one semester and required to perform 50 hours of community service. 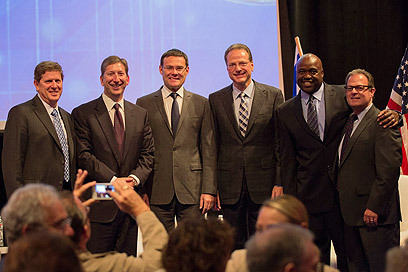 However, a drastic change occurred over the last few months: A recent university conference about development in digital media hosted five Tel Aviv University lecturers and all of its participants, including Arab and Iranian students, showed their respect to the Israeli speakers, and even held shared meetings, discussing future collaborations. 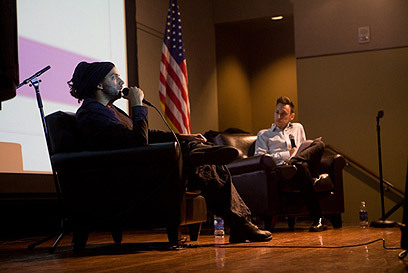 Furthermore, a recent campus concert by leading Israeli singer Idan Raichel, which hundreds of students attended, was enjoyed by all – uninterrupted. Yishai Issach, who runs the "Merage Institute" and works for one of the main Jewish donors to Irvine University, told Ynet that Israeli Consul David Segal, who arrived in California in 2011, contributed greatly to the change. The institute hosts 100 Israeli start-up companies every year, for a seminar on business collaboration with US high-tech, biotech, security and new media companies; and according to Issach, Segal focused on that as well. "Instead of just talking about the conflict, Segal started presenting opportunities for research and development projects in Israel," the former Tel Avivian said. "He also managed to bring all the Jewish organizations together for joint ventures." The new consul's activities included bringing Irvine University President Michael Drake on a formal visit to Israel, where he met with academic leaders and agreed on future collaboration with the Israel Institute of Technology, as well as the Tel Aviv, Beersheba and Hebrew universities. Drake also met with President Shimon Peres during their visit. In an interview to the Irvine University paper, Drake described his visit to Israel as enlightening, adding that he found common ground between the University of Irvine and the elite universities in Israel. Consul Segal told Ynet that it has become clear that "Israeli advocacy shouldn’t focus solely on the conflict, but should rather highlight some of the amazing Israeli achievements, of which many are unaware… We've started a process that allows all sides a complete change in their point of view." Dr. Mitchell Brad, head of the pro-Israel AICE organization, said his group was greatly pleased with the change noted in Irvine. "Past experience has taught us that increased anti-Israel activities on campuses bring about large pro-Israel activities in response," he said. Brad recently held a survey regarding the perception of Israel, which spanned across 4,000 campuses in the US. He found that anti-Israel activities took place on only 100 campuses, with only 30 of them hosting major anti-Israel events such as "Apartheid week" or "Palestine awareness" events. According to Brad, while pro-Palestinian activities on the various campuses do make headlines, pro-Israel activities are not left far behind: "Maryland University is an example for a pro-Israel campus that has robust anti-Israel activities." The head of AICE also noted that the problem lies in classrooms more than it does on campuses: "Some professors push political agendas in class and the students are afraid to report it," he explained. See all talkbacks "Israel shines in California campus"